I wish to apologize for not posting immediately as I had been with the Pope’s Marian references. I guess you could say life happened. My work load picked up over the past few weeks so blogging about the Pope had to go to the side for a bit. Only time will tell, but I think that I will begin to post weekly on Sunday’s with a post called, “Week in Review: Pope Francis and Mary.” You will find below the Pope’s Marian references since the Easter Vigil, which was my last post. Let us pray together, in the name of the dead and risen Lord and through the intercession of Mary Most Holy, that the Paschal mystery might work deeply in us and in our time so that hatred may give way to love, lies to truth, revenge to forgiveness, and sadness to joy. Together let us pray the Virgin Mary that she help us, Bishop and People, to walk in faith and charity, ever trusting in the Lord’s mercy: he always awaits us, loves us, has pardoned us with his Blood and pardons us every time we go to him to ask his forgiveness. Let us trust in his mercy! Pope Francis encourages us to seek the help of the Virgin Mary, that the bishops and people, may walk in faith and charity ever trusting in the Lord’s mercy. Mary was a woman of great faith who surrendered herself obediently to God’s will for her life, who showed love toward many people in the scriptures beginning with Elizabeth and the couple at Cana, and who trusted in the Lord’s mercy as she was the recipient of the saving work of Christ from her conception in the womb of St. Anne. I pray fervently to the Lord Jesus that He, through the Virgin Mary, may give the late cardinal the eternal reward promised to his faithful disciples. 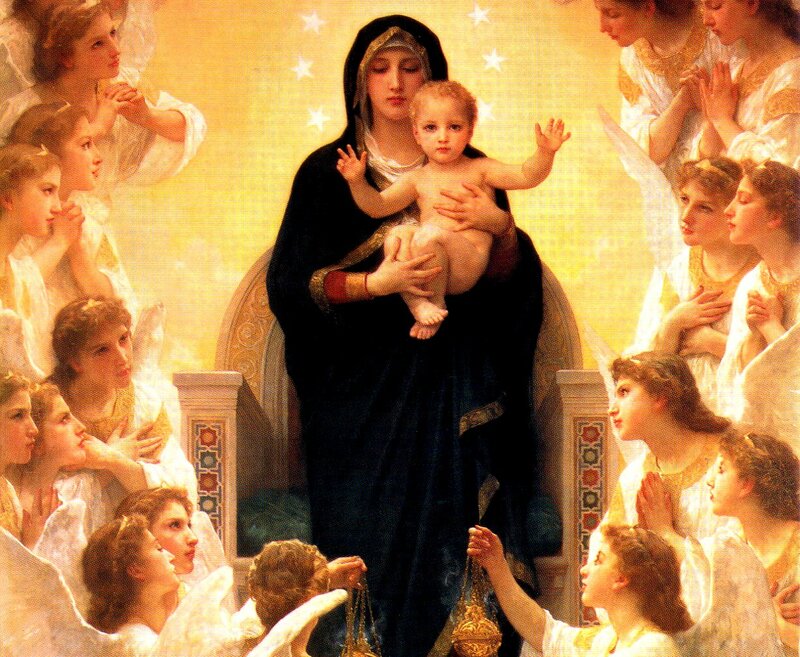 Many Catholics have a difficulty in understanding the idea of Mary as the dispenser of grace. Many saints (for example, Bernard of Clairvaux) of the tradition have wrote about the way distribution of grace through Mary. That God wishes to give graces through the hands of Mary. While I do not wish to delve into this theological discussion at this time, it is interesting to note that Pope Francis prayed that the Lord Jesus, through the Virgin Mary, would give the Cardinal his eternal reward. It seems to me that Pope Francis indicates that the grace being asked for, namely eternal rest, will be granted by Jesus through the mediation of Mary.